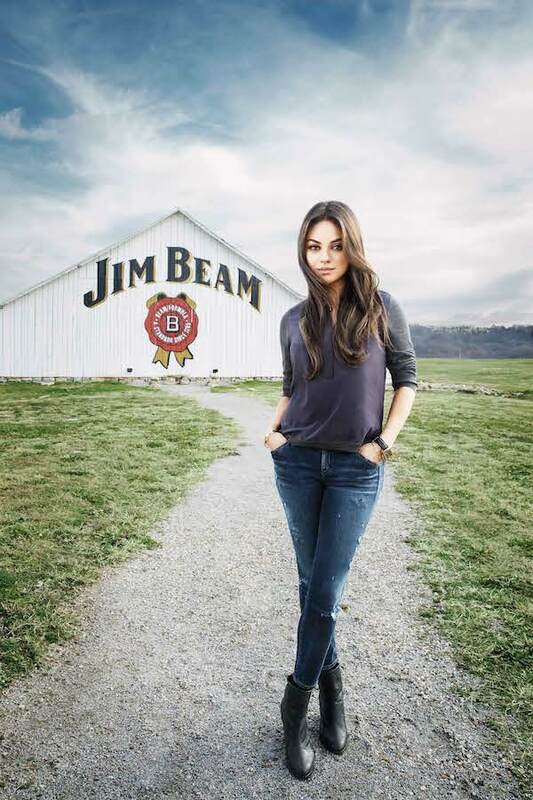 Mila Kunis is set to be the global face of bourbon brand Jim Beam, with the company stating Kunis’ love of bourbon makes her the perfect fit for the role. Kunis will front the bourbon brand’s first global campaign, called ‘Make History’, that will run across more than 100 markets worldwide. ‘Make History’ is the first-ever global marketing campaign for the American brand, which dates back to 1795. The television campaign featuring Kunis will premiere in the next few months in the brand’s largest markets, including Australia, the US and Germany. “Jim Beam has been making history by producing the world’s finest bourbon through seven generations of family distillers, and this partnership signifies a truly new era for the brand – an era in which we push boundaries even further, attracting new fans across the globe and continuing the great growth we’ve enjoyed on the brand,” said Kevin George, senior vice president and chief marketing officer at Beam Inc. The ‘Make History’ campaign will premiere a new television commercial in Australia featuring Kunis in March and will roll out in markets worldwide over the next few months. Kunis will also be featured in retail materials and content on Jim Beam’s website and across its social media platforms. “As a fan of bourbon and a huge proponent of making history, I am thrilled to be the newest member of the Jim Beam family,” said Kunis, who has recently spent time in Clermont, Kentucky with Jim Beam’s seventh-generation master distiller, Fred Noe, immersing herself in the heritage, traditions and production of ‘America’s Native Spirit’. Jim Beam’s TV advertising campaign was created by FutureWorks, a partnership between three independent agencies who lead Jim Beam creative efforts in key markets: StrawberryFrog (New York), The Works (Sydney) and Jung von Matt (Hamburg). In Australia, the ads will appear across multiple media properties, as well as in media properties across the globe.